STANDARD SALE!!! 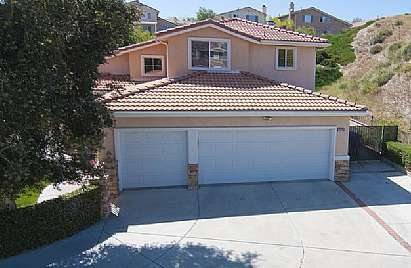 Amazing Stevenson Ranch pool home at end of cul-de-sac. Full bed & bath downstairs, 3 car garage, crown moulding throughout. Kitchen feautres granite counters and island. Wood flooring downstairs, plantation shutters, downstairs laundry room, 3 car garage, surround sound throughout downstairs, and much more! The backyard is the crown jewel, with stamped concrete and flagstone surrounding a gorgeous pool with soothing waterfall and spa. You will also find a gas firepit and built-in BBQ as well as a walk out balcony. All this and still a good size yard in the back! You'll want to stay all day!